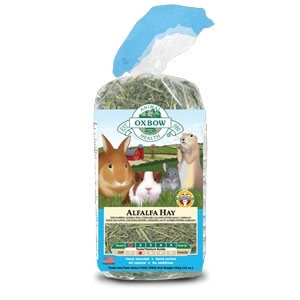 Oxbow Alfalfa Hay is a high-fiber legume hay with the same long-strand fiber found in grass hays, but with more protein, energy and calcium. 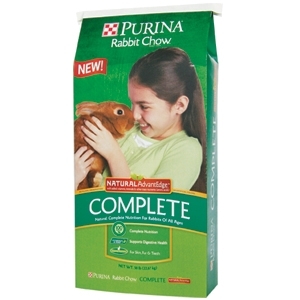 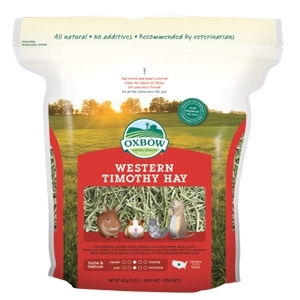 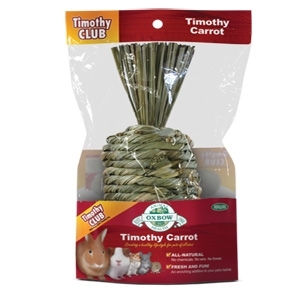 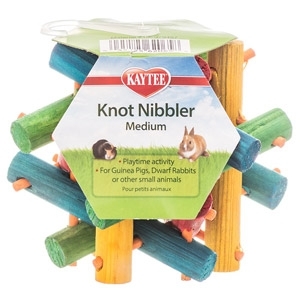 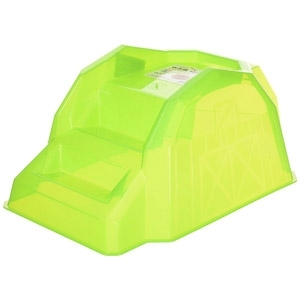 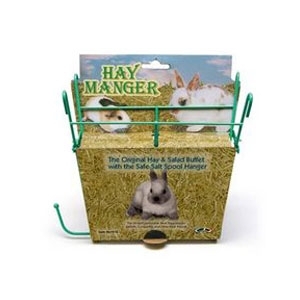 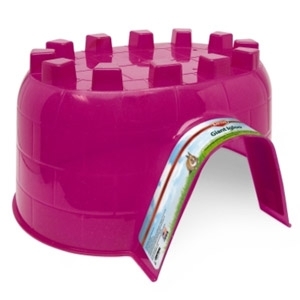 This hay is perfect for young or lactating animals that need concentrated nutrition. 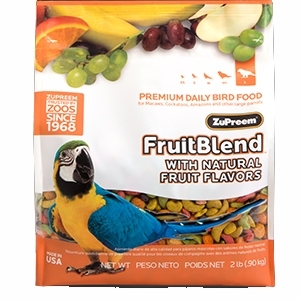 FruitBlend® With Natural Fruit Flavors Premium Daily Bird Food provides healthy and balanced nutrition for Macaws, Cockatoos, Amazons and other large parrots that prefer this pellet size. 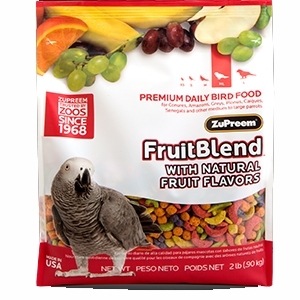 FruitBlend® With Natural Fruit Flavors Premium Daily Bird Food provides healthy and balanced nutrition for Conures, Amazons, Greys, Pionus, Caiques, Senegals and other medium to large parrots that prefer this pellet size. 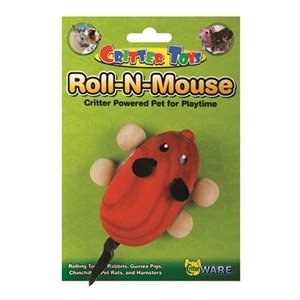 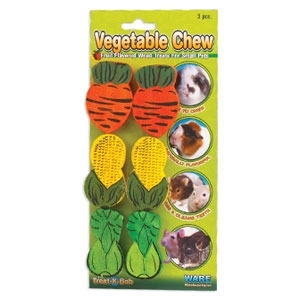 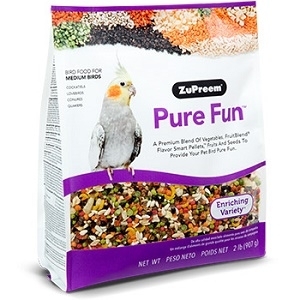 Pure Fun™ Bird Food for Medium Birds is a premium blend of vegetables, FruitBlend® Flavor Smart Pellets,™ fruit and seeds to help excite and enrich your pet bird. 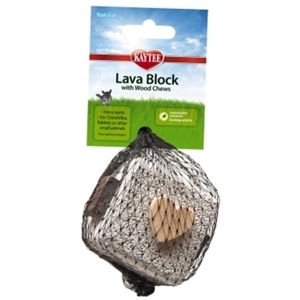 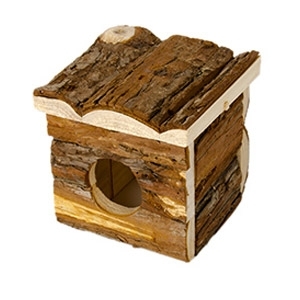 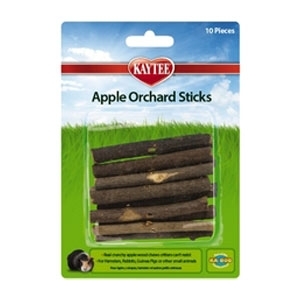 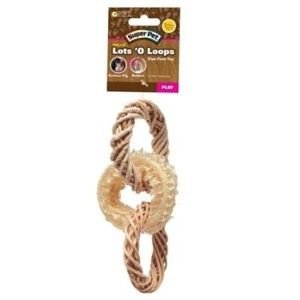 This blend includes a delicious mix of right sized pieces for your bird which helps minimize wasted food. 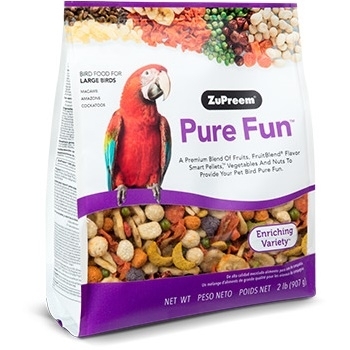 ZuPreem® Pure Fun™ Bird Food for Large Birds is a premium blend of fruit, FruitBlend® Flavor Smart Pellets,™ vegetables and nuts to help excite and enrich your pet bird. 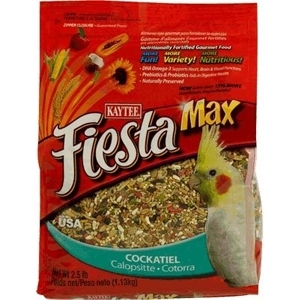 This blend includes a delicious mix of right-sized pieces for your bird which helps minimize wasted food. 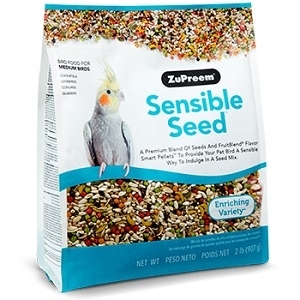 ZuPreem® Sensible Seed™ Bird Food for Medium Birds is a premium blend of seeds and FruitBlend® Flavor Smart Pellets™ to provide your bird a sensible way to indulge in a seed mix. 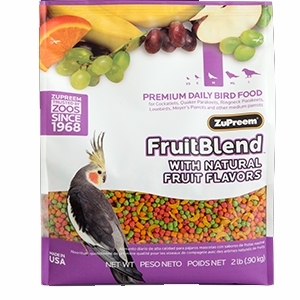 This blend includes a delicious mix of right-sized pieces for your bird which helps minimize wasted food. 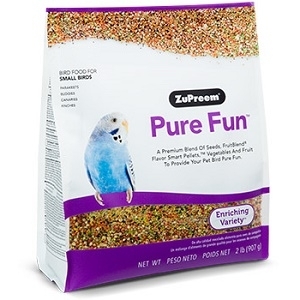 ZuPreem® Sensible Seed™ Bird Food for Parrots and Conures is a premium blend of seeds and FruitBlend® Flavor Smart Pellets™ to provide your bird a sensible way to indulge in a seed mix. 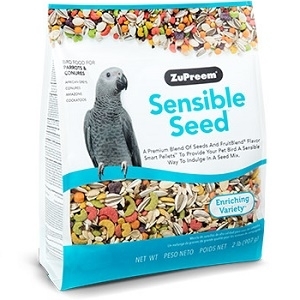 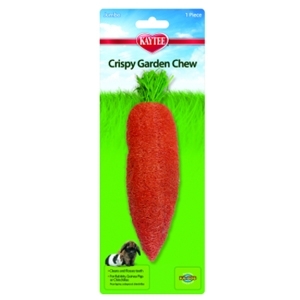 With only 10% sunflower seeds, this blend includes a delicious mix of right-sized pieces for your bird which helps minimize wasted food.